The poverty rate has fallen dramatically in Ecuador, from 64 percent to 23 percent in recent years. This reduction was achieved as a result of the long oil boom and public policies which directed the benefits of economic growth towards the poorest, including employment and cash-transfer programs. More recently, that progress has been halted by the drop in oil prices and natural disasters. Meanwhile, the poverty rate is almost twice as high in rural areas compared to the cities and towns. Founded in 1993 as a non-profit organization, FINCA Ecuador today is a fully-licensed bank, offering credit and savings services through its 13 branches across the country. Many of its clientele are from rural, indigenous communities in the Andes mountains, while others are located in the coastal areas. Financial exclusion is somewhat less extreme in Ecuador than in most of the other countries where FINCA works. Still, about half of adults lack a basic bank account, and financing options are extremely limited, especially in more remote communities. Among FINCA's Latin American subsidiaries, Ecuador stands out for its rural outreach. 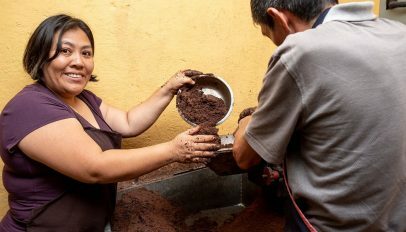 FINCA Ecuador also maintains a strong focus on reaching women, who make up 60 percent of its borrowers. The living standards of FINCA borrowers in Ecuador are comparatively high, reflecting the significant reductions in poverty that have been achieved over the last decade or so. The majority of borrowers have access to water and electricity. The education of family breadwinners is also better in Ecuador, though it should be noted that over a third of households have a primary earner with less than a secondary education. Twelve percent of borrowers don't own the home they inhabit, which is similar to other countries in the region, such as Honduras and Guatemala. 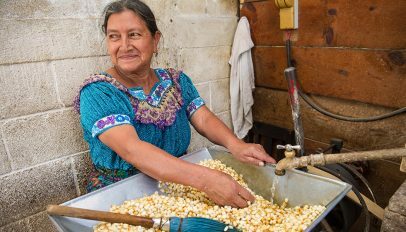 FINCA's female clients make important contributions to their household economy. Over half of them are their family's principal source of earnings. 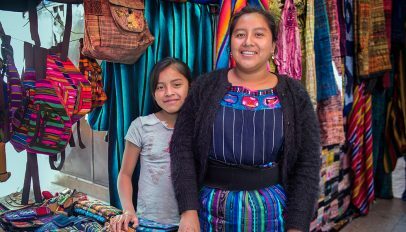 Like Guatemala, however, the majority of women hail from two-parent households, reflecting a stronger tendency towards traditional families and a lower incidence of labor migration.